There are three ways you can send your advance donation and receive this special edition throughout the year 2012. Then, I will send you a direct download via the email address you type in on the Paypal page with today’s donation. Please do not use Mindspring or Earthlink email addresses. They will bounce because these servers limit bandwidth for e-book sendings. Use any other server. Gmail is especially good. You can make an email account with them, it is free and easy. Because I’m sending personal emails to each of you with the book attachment, your donation e-book will be sent a few hours after your donation order is placed. If you do not see the e-book in your inbox by the following day, please first check your spam block file for it. If it isn’t there then contact me by email and I will send a second download. When your donation comes in the mail, I will use your email address to send a direct download of the book. Be sure your email address is legible. Print it out with a printer for best results. 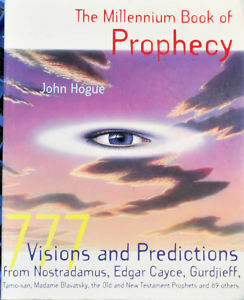 Option 3: Receive autographed Rare Hogue Books “and” Predictions for 2012. Hobbit sized or heroic, each donation is of equal importance to the continuation of Hogueprophecy in this most important of prophetic years . I have a third option for those who can give a larger donation. 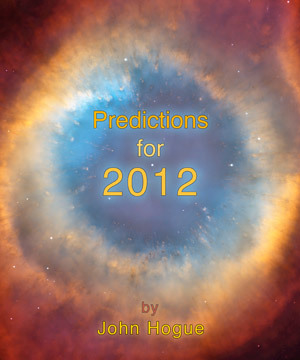 You can get a free copy of Predictions for 2012 throughout the year 2012 and much more. I have in stock seven first edition titles of my printed books. Each one can be your personally autographed and addressed gift for a gift donation of $100 apiece (if living inside the US) or $120 (if living outside the US). For those Kiwis and Kuala Bears living in far off New Zealand and Australia, shipping requires a donation of $130 for each book. If you send me a donation of $12.50 or more throughout the year 2012, I will add a free direct download copy of Predictions for 2012. Your special edition printed book or books will be shipped out on the next day the post office is open. I will then email you back confirming I am holding your printed book or books. Then I’ll instruct you to place your donation online or via snail mail like you see above. Just sent a donation. 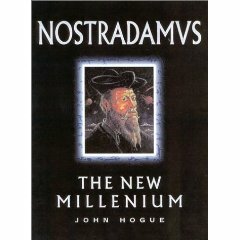 Looking forward to receiving Predictions for 2012. Thank you for your work. Thank you for receiving it. John: I have been waiting for your new predictions for 2012! Thanks for the response. I would like to make a donation and receive the new on-line book–a much better choice now that I tuned up my computer. I believe I sent a small donation some time in the Autumn. How do I activate a contribution on paypal? Thanks, Bruce. Glad I could finally get it to you! I would like to know why your rare printed book is so expensive. I’d rather have a paperback book at a reasonable price rather than read a book on my computer even it does cost only $12.50. Hmmm, let’s see…why “are” they so expensive? Oh! I know. Because good copies of these out-of-print books are “rare”? Even rarer is getting an personal message, autographed and dated by “John Hogue”. All seriousness aside, you’re missing the point, MJ. These books are “gifts” that keep Hogueprophecy online. For those who feel a yes and can afford a generous donation of $100 or more, I want to give them a gift book. For those who can’t give that much, you too are valued by me and I want to give “you” a gift of my e-book for as little as $12.50. I hope to get back into the “dead tree” printed book business this coming year. So, right now, you can secure and soon be reading an e-book that you can read on your computer, your iPad or Kindle tablets, or, you’ll have to wait perhaps as much as a year before I can afford to kill a lot of trees, do my bit to degrade the ecosystem by cutting down forests so readers who want it can have a book made of paper in their hands. I would cordially suggest that you donate and get an e-book because it will lower my karmic and your karmic “carbon” foot print. I’m about the future, MJ. E-books are the future and they are healthier for our planet and our children’s future. I appreciate your lengthy response. I don’t necessarily agree with all of it, but, hey, anyway, I’m going to buy the e-book because you really tweaked my curiosity. That’s what it’s really all about. You’re a good man, John Hogue. Peace. Thanks for asking. My records from Paypal show your donation has come through, thank you. So, you are on my list to receive 2012 as soon as I finish it. Sometimes the browser used will cause problems. I’ve seen this happen with Microsoft Explorer. I’m sorry you had a problem with the system. If any of you have problems or didn’t get a confirmation you can always email me about it as hoguebulletin@hogueprophecy.com. OBAMA IS NOT HIS REAL NAME. HE IS NOT A U.S. CITIZEN. HE IS A CITIZEN OF INDONESIA AND I HAVE THE BIRTH CERTIFICATE FROM KENYA, BORN IN WEDLOCK. AT FIRST THEY WANTED TO PUT HIM UP FOR ADOPTION BUT THE MOTHER MARRIED BERRY SOETORO. OBAMA WAS NAMED AFTER HIS STEPFATHER LEGALLY…THEN THEY WENT TO INDONESIA. HIS SCHOOL RECORDS SAY HE WAS A FOREIGN CITIZEN THERE ON A GRANT. I READ TODAY WHERE THEY SAID THAT THE ONE THAT WENT TO SCHOOL WAS THE FATHER…NOT TRUE IT WAS OBAMA, USING HIS STEPFATHERS NAME. ONE CANNOT BE A CITIZEN OF INDONESIA UNLESS THEY ARE MUSLUMS. OBAMA DOES NOT WORK FOR THE USA BUT RATHER FOR OUR GERMAN HALF OF THE CIA, WHO FUND HIS NEEDS. HE IS UNDER ORDERS TO DESTROY THE USA. HE ALSO WAS A MEMBER OF THE UNDERGROUND WEATHERMEN (CIA) STILL IS. THERE IS NO ID ON HIM SO HE CANT EVEN GET A VALID DRIVERS LICENSE. can verify this as truth? Who do you work for and what do you do? The mothership aliens just told me the end of the world is in 2014 ,not 2012!!!! Peace and love in 2012!!!! There will be no end of the world in 2014. There are no “mothership aliens” either. These are just figments of your imagination. There are many amazing and mysterious realities in the universe but these are blocked from us by seemingly amazing and mysterious delusions of the mind. Without meditation, one cannot be certain what is real or what is a projection of the subconscious. SOME YEARS AGO I GOT INTO A CONVERSATION WITH A MEMBER OF A FRENCH TEAM WHILE WORKING AT A STATIONARY STORE THAT ALSO FIXED OFFICE EQUIPMENT IN CALIFORNIA. SINCE NO ONE WAS IN THE OFFICE AT THE TIME I LEFT THE SHOP AND TALKED WITH HIM…..WE GOT INTO INVENTIONS. HE STATED THAT THEY WERE WORKING ON A SONIC LASER FOR THREE YEARS AND COULD NOT SOLVE IT. i SOLVED IT ON THE SPOT FOR WHICH I WAS LATER PAID FROM THE FRENCH GOVERNMENT. LATER I WAS NOTIFIED BY THE FBI THAT MY SERVICES MAY BE NEEDED TO SOLVE A PROBLEM FOR THEM. I GOT A SIX MONTH CONTRACT. WE TOOK A PLANE FROM TORRENCE,ca AND I WAS TAKEN TO DULCE,CA. THIS AND OUR ASTRONAUGHTS VERIFY THAT THERE ARE INDEED ALIENS. SOME FROM MARS AND OUR OWN MOON AS WELL AS IN OUR EARTHS CENTER. (ALL “PLANETS” SUSTAIN LIFE AND SURPRIZINGLY OUR OWN SUN IS A HOLLOW BODY THAT ALSO SUSTAINS LIFE. IF IT IS SOLID THERE IS NO LIFE THERE…IT IS JUST A ROCK CALLED A METEOR. Merl, can I have some of your drugs? Did the CIA give you strange, new psychedelics that even dwarf LSD and Ibogaine in intensity? Let me know in advance so that I can plan a trip to a Florida beach to drop it. It’s been a long time since I’ve been to Aldous Huxley’s “Island” even in spirit!